Skye Gravestones | Barbara (Phimister) & Simon Maclean. Barbara (Phimister) & Simon Maclean. 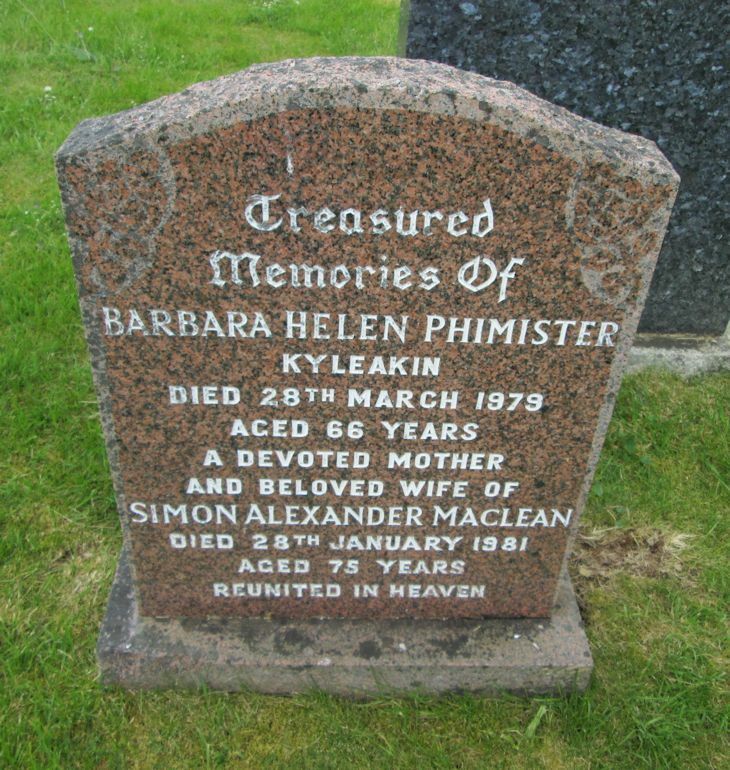 Treasured/memories of/BARBARA HELEN PHIMISTER/Kyleakin/died 28th March 1979/aged 66 years/a devoted mother/and beloved wife of/SIMON ALEXANDER MACLEAN/died 28th January 1981/aged 75 years.